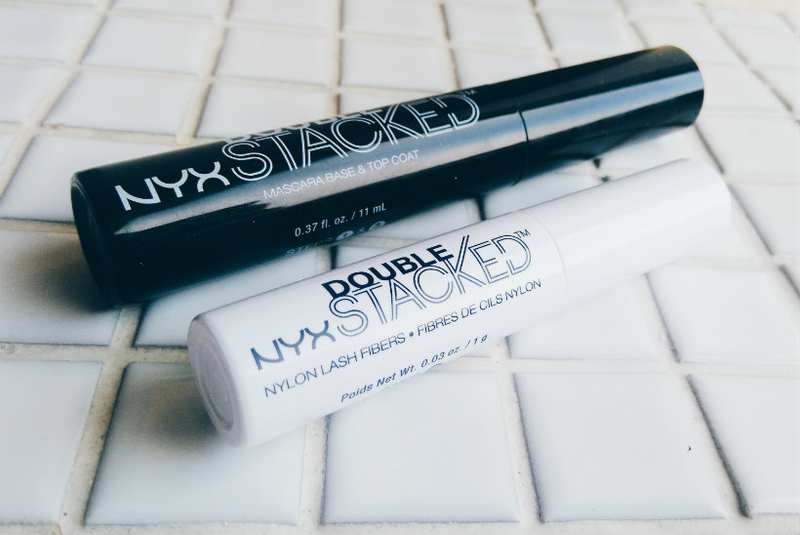 NYX Double Stacked Mascara — Do Lash Fibres Make a Difference? I’m incredibly fickle when it comes to mascaras. There are a couple I’ll repurchase from time to time, but generally it doesn’t take much for me to be swept away by the promises of a new product. I want those doe-eyed lashes, damn it, and I’ll pay for them. This is how I ended up dropping NYX Double Stacked Fibre Mascara into my basket at Boots. 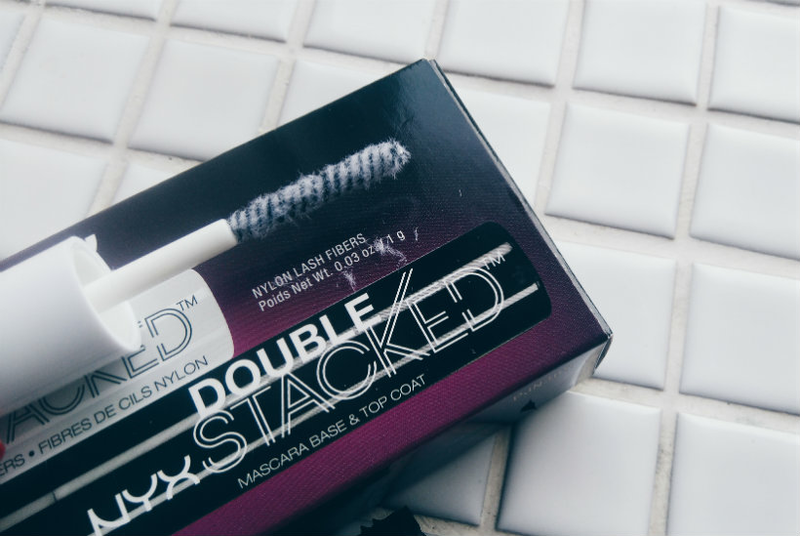 Double Stacked includes one tube of a dual-use base/top coat and one tube of lash fibres. Base coat + lash fibres + top coat must equal falsie-esque lashes, surely? The base/top coat didn’t make any difference to the volume of my lashes but it did add a teeny bit of length and definition. There’s not much more to say about it, really, but it’s a solid start. Next step — fibres! 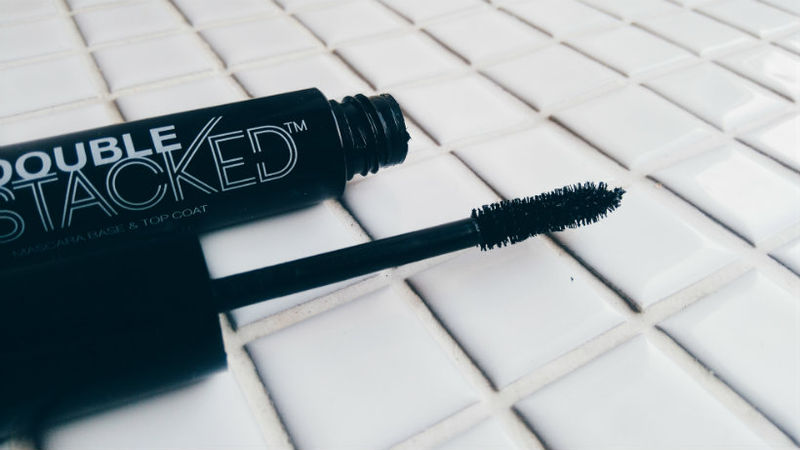 I assumed they’d be suspended in a liquid or something but they are literally just bits of fibre on a little mascara brush that you run through your lashes. Some of them went in my eye and let me tell you — they really hurt if they get behind a contact lense! This happened the first time I used this mascara and I had a bit of a strop about it, putting the product to one side. But curiosity eventually got the better of me and I tried again, this time without any lense-related incidents. My lashes looked like a load of tiny feathers had been stuck to them. This is where you really see a difference. The top coat anchors the fibres in place and creates the doe-eyed look I was hoping to achieve, with a boost in length and a little bit of extra volume to boot. I love how much more wide-awake my entire face looks after I’ve used Double Stacked. As you can see, Double Stacked does have a noticeable impact on my lashes. But here’s the thing: I can get the same kind of effect from another NYX mascara, XXL, with better staying power, fewer steps, and less fannying about. So while I will happily use Double Stacked when I want my lashes to look long and fluttery, I probably won’t be buying it again. £14 is a little pricier than I would normally pay and the results aren’t quite spectacular enough for it to be worth it. What do you think about lash fibres? Are they worth the extra effort? Let me know in the comments! Note: NYX do not test their products or ingredients on animals, but their parent company does. This post contains affiliate links.